Description: It is a fast and secure web browser that features pop-up blocking, tabbed browsing, integrated searches, built-in email and RSS client etc. 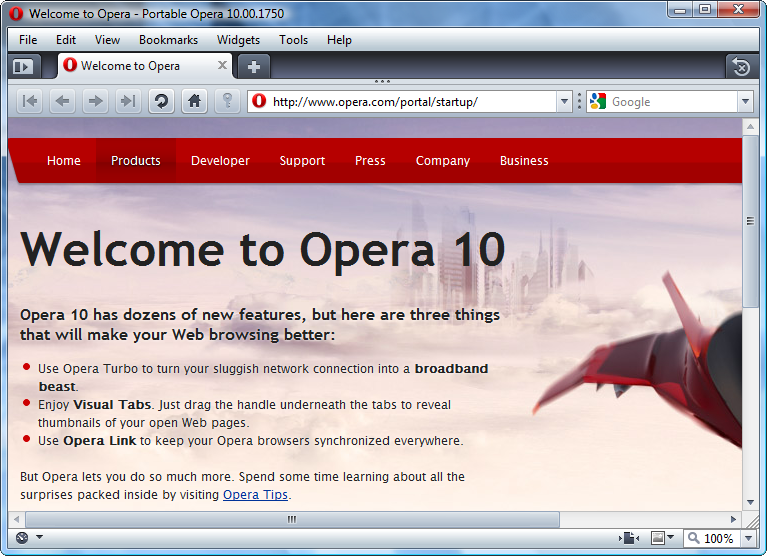 This is a portable package for Opera that does not write to the registry nor leave any data on the guest machine where it is run. You can also download Addons to extend it or read this Guide for more info.